Blaze 1st, 2nd and 3rd Place Trophies. 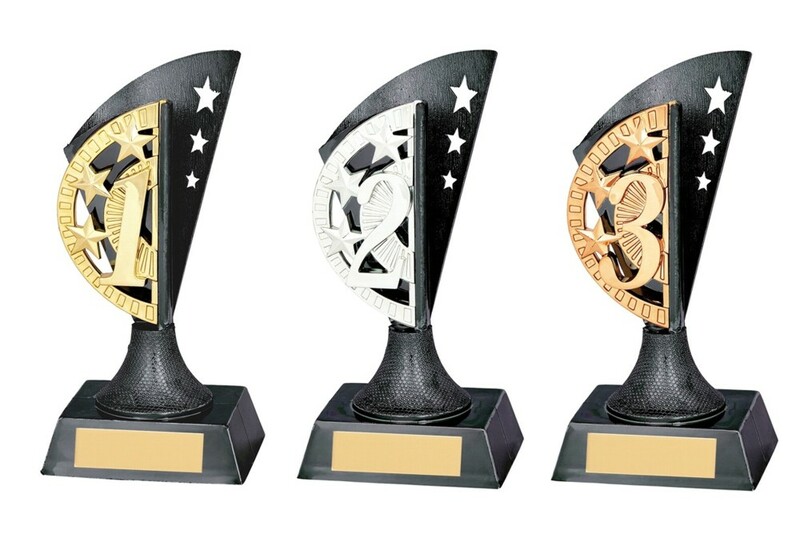 These great plastic awards measure 150mm and are available in 1st (Gold), 2nd (Silver) and 3rd (Bronze) Place. Gun metal award with star cut out detail. Great budget awards.